Mark and Nedilka dropped me off in Colville and they continued on to Little Bay. 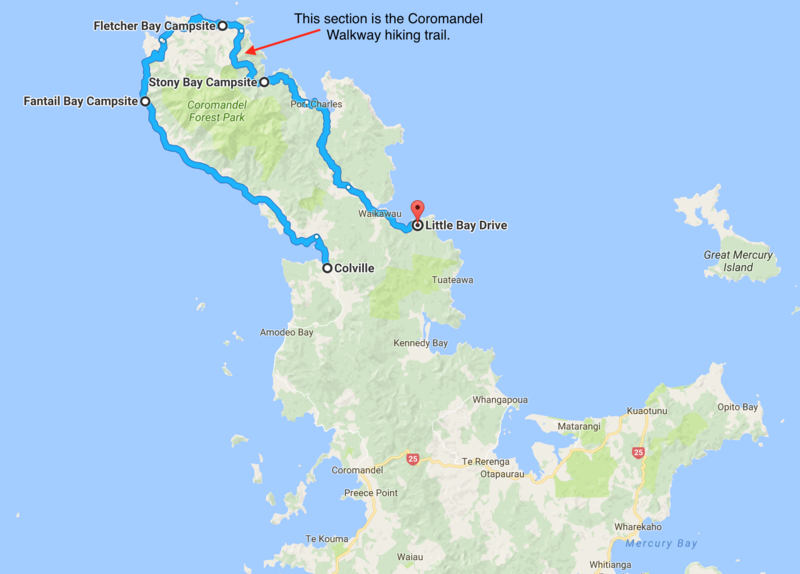 My plan was to ride for 3 days around the northern tip of the Coromandel Peninsula and meet them in Little Bay. The road does not go through, so day 2 would include 5 Km of hiking trail. It was well into the afternoon by the time I got riding, but I didn't have far to go. Altough I had bought some groceries earlier in the day, I could not pass the store in Colville without getting more, knowing it would be the last one I would see for 3 days. 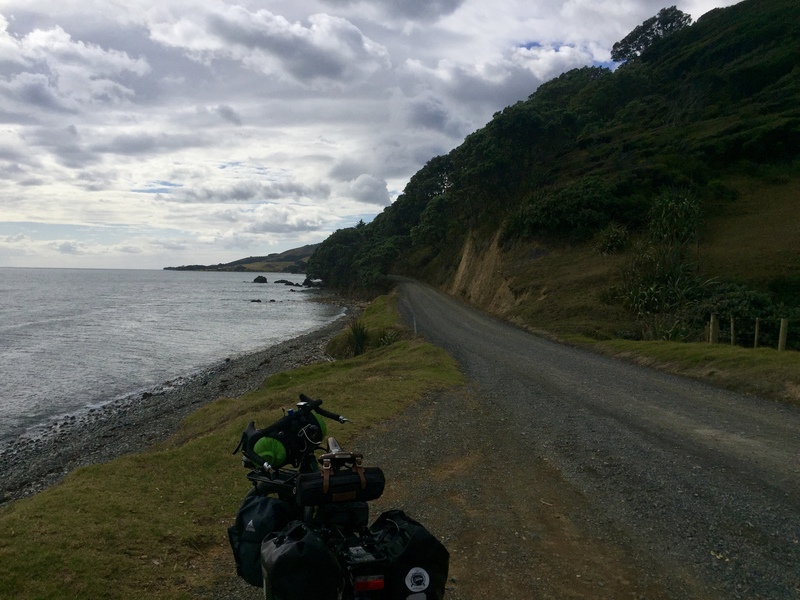 Like all of the roads on Coromandel there was a big hill leaving Colville, but not as steep as some. Soon the road turned to gravel and was very plesant the rest of the way, with little traffic. The campground at Fantail was nothing special but I had a nice meadow to myself. Since I was now on the west coast of the peninsula I was treated to a nice sunset over Hauraki Gulf. 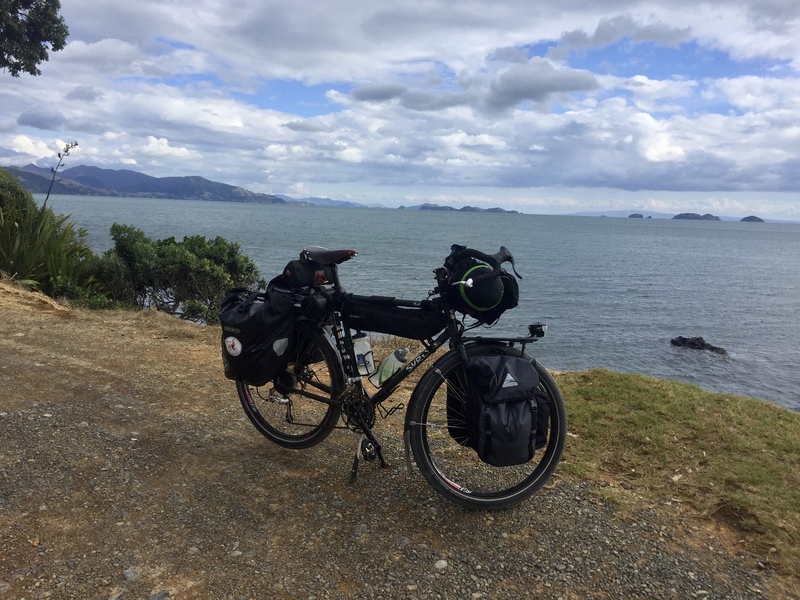 The northern tip of Coromandel. From Fletcher Bay to Stoney Bay is a hiking trail. The road does not go through. 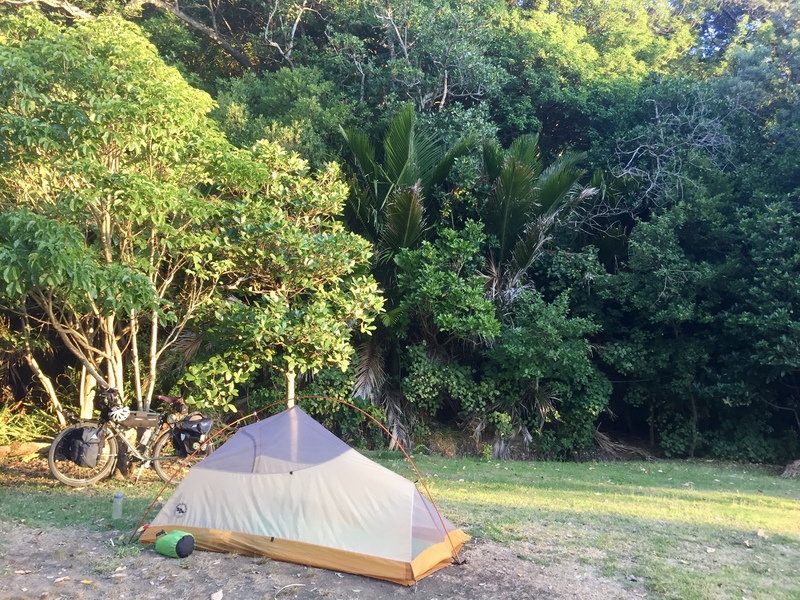 Campsite at Fantail campground, Department of Conservation. This spot faces west across the Hauraki Gulf, so I was treated to a nice sunset.